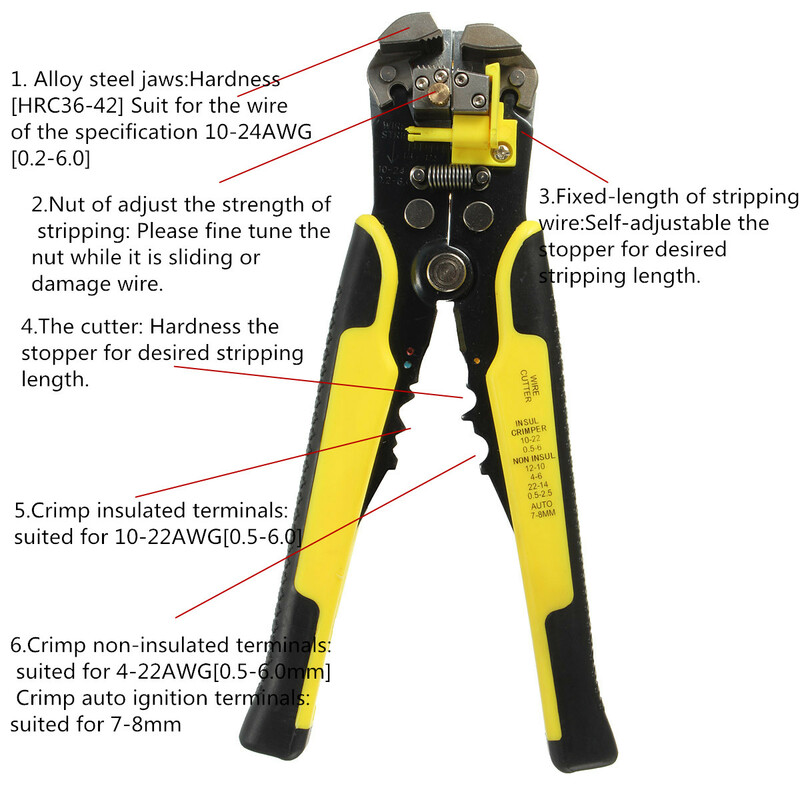 -Made of high quality steel, collection of stripping, trimming, crimp terminal three functions in one tool, save more effort than conventional wire strippers, stripping line are more better, does not destroy the line, improve work efficiency. -Easy stripping without any adjustment. One of my favorite tools to use it for my senior design project. Absolutely flawless design and works every single time u try to strip all different gauge wires. Highly recommended. Wire Stripping Tool,Self-Adjusting Professional... DRILLPRO .This wire stripping tool is a great tool for stripping any size wire . It can cut and strip any size wire with one squeeze of the handle, which makes it a great tool .